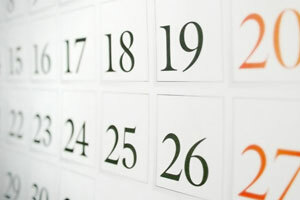 Anniversaries are a time of reflection. 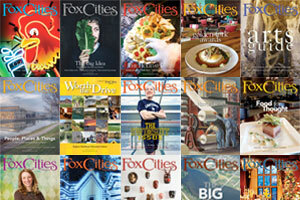 As FOX CITIES Magazine celebrates its 35th year, we look to the community to provide thoughts, insights and hopes for the Fox Cities in the years to come. To me, the Fox Cities is such a wonderful place to call home because of all the right building blocks being in place. First, you have the quality education and the feeling of a safe community for your family. Then you have vibrant, dynamic arts and growing cultural amenities and activities. Finally, you have an incredible collaborative spirit that is pervasive throughout – everyone is willing to work together to continue to make this community great for all. People here understand and experience firsthand the impact of their involvement. This ability for one person to make a difference results in a greater commitment to making this the best possible place it can be for everyone – young, old, life-long resident or newcomer to the area. The Fox Cities have taught me the power of relentless pursuit of building a compassionate community for all to pursue their best selves. In terms of physical growth, the biggest opportunity for the City of Appleton is increasing the density of our population, meaning creating opportunities for more people to live within our existing neighborhoods. I believe our biggest opportunity for community growth lies in our ability to blur the parochial political boundaries that exist in the region and find ways to start acting like the single community that we really are. Beginning in 2020, the federal government will look at the Fox Cities, including Oshkosh, as one economic region. Therefore it is in our best interest to start thinking and acting in ways that reflect the reality of our local economy. With all the different municipal and county governments as well as numerous school districts in the Fox Cities, at the end of the day, and in spite of our differences, we will strive to do what’s best for the community. My ability to elevate through the ranks at the airport, ultimately becoming the airport director, is a testament to the progressive leadership at the county. My age  was never viewed as a negative. Our county executive and county board took a chance on hiring me and I work every day hoping they feel their decision has paid off. From an airport perspective, we are seeing a once-in-a-generation growth opportunity for air service into Appleton. Coming on the heels of Bloomberg naming ATW the fourth fastest growing airport in the country, ATW will see 20 percent passenger growth in 2018. Growth of this magnitude sends a clear message to airline executives that our community is supportive of bigger airplanes and more nonstop destinations. As the community continues to fly our local airport more and more, we expect to continue our growth and see more air service. President, Willems Marketing & Events, Inc. I think there are a number of things we’ve accomplished at Willems Marketing over the years that are pretty unique to this area because it’s so special, but the most recent and probably the most prominent that our team has created is Mile of Music. One area that we’ve always believed in at Willems Marketing & Events is the entertainment and leisure opportunity. [The Fox Cities] is a unique area because of its size and make-up. It fits that “middle” category in so many ways and that’s a good thing when it comes to opportunity. Some things have been done or tried, but not all. Certain experiences exist, but not all. There are many opportunities and experiences that remain to be uncovered or tapped. One of the things I hope we’ve accomplished with Mile of Music has been to prove that big ideas can happen here if done right. The Fox Cities regional approach to tackling big projects like the Fox Cities Performing Arts Center, Fox Cities Exhibition Center and Fox Cities Champion Center have all been signature projects that required multiple entities and municipalities to work together. I don’t think people always understand how efforts like this don’t just happen everywhere. The community’s biggest growth opportunity lies in our innovative nature. Our manufacturing base has delivered so many patents and products. We take the “maker” mentality to a new level when you think about it from an industrial design standpoint. We can leverage our history of product innovation to support our future growth. Living and working in the Fox Cities has taught me just how critical collaboration is to creating strong communities. The development of our Public Safety Training Center is probably the best example. This facility would not exist today without the expertise, passion and network that has been developed over decades by our faculty and staff, and the reputation we’ve built in this arena statewide and nationally. Nor could it have been accomplished without the support of residents from all across this region and key partners such as the public safety sector, Appleton International Airport, Oshkosh Corporation, Pierce Manufacturing and others. It represents a very unique convergence of expertise, partners and community support, as well as a tremendous economic asset for the Fox Cities. I’ve been inspired by the sheer will of community leaders over many decades to take initiative and accomplish so many great things that benefit our lives today, as well as future generations. Launching Women in Technology Wisconsin Inc. (WIT Wisconsin) in the Fox Cities is one of my proudest accomplishments, and was the springboard for working with Microsoft on the TechSpark program to foster job creation and economic opportunity. With more than 7,000 technology jobs open in the state, and more than 3,000 of those in Northeast Wisconsin, there are opportunities for the next generation of workers. The region has an entrepreneurial spirit and that’s a big competitive advantage. We have always been a community on the cutting edge of innovation and technology. That’s why Microsoft has joined with the Packers to build a venture lab and business incubator outside of Lambeau, called TitleTownTech, and why we are working with the great staff at Appleton’s Riverview Gardens to add technology efficiencies and help them reach more clients with job-training and placement. There are major investments being made in the entrepreneurial community here in Wisconsin, by universities and the private sector. The ecosystem is here and there is no time like the present to think big in the Fox Cities. Many are thinking about what the “new” economy will look like. So, how do you predict the future? I want to believe there still is a big place for advanced manufacturing. It is along the lines of the early paper mill entrepreneurs who saw paper as their solution to the demise of milling. The global nature of business allows for high levels of sophistication. That exists in the Fox Cities. Today, you can grow here but you can also grow here and go anywhere. Living and working in the Fox Cities has taught me the importance of strong values and how that shapes how one behaves no matter where you are. This is a growing, exciting place with endless potential. Focus on the positives, because the Fox Cities has many assets that are under-appreciated. I am thrilled to see an expanding community of vibrant, young professionals in the Valley. Growing up, I think a lot of my generation felt like we had to leave the area to pursue opportunities; I believe we are now hitting a critical mass where young leaders are realizing that this is a great place “to come back to” and not just a great place “to be from.” Growth is always driven by people and the creative tension that comes from engaging diverse points of view. In order to expand our talent pool, we need to continue to foster that diversity and inclusiveness. I love the creative spirit of our community and the generosity of the people who help encourage it. I stand on the shoulders of so many people who have helped me, and I try to be a good platform for others to grow and make our community stronger. As a community, our biggest opportunity is creating business opportunities where those graduating college have a career path right here in the Fox Cities. Perhaps the greatest opportunity for any business is helping employees first realize, and then achieve, their full potential. My suggestion to anyone starting a business is this: be in the business of growing people. A couple of years ago I became aware of something that’s provided absolute clarity to me as a business owner. We employ about 200 people in Northeast Wisconsin. When the employees of Tundraland are inspired to perform to their full potential, the business is at its best. When the business is at its best, so am I. Therefore, as a business owner, the path to me achieving my full potential lives and breathes in the process of helping my employees realize theirs. And for me, that’s inspiring! Having lived in New York and L.A. my whole life, my wife and I moved here to be near her family after our first daughter was born. What I knew about Appleton then was that it’s an easy 45 minute drive from family, has an airport and a place for me to play tennis. It wasn’t until we started becoming part of the community that I saw how much it truly offered in terms of arts programming, other opportunities, and how deep and diverse the talent pool is here. It was a pretty thrilling discovery. Ten years later, there are always new projects and collaborations to take on that are very gratifying. I get to work with artists, musicians, photographers, recording studios, writers and filmmakers here. Because of the roots my family has put down here in the Fox Cities, I feel that every time I travel to do a concert, I’m bringing some of my new hometown with me. I am most proud of having an opportunity to contribute to building partnerships between the Oneida Nation and many other governments and businesses that have resulted in a better quality of life for our state, region and community. This area is where I have lived my entire life and the fact that most of my immediate family is within a 10-mile radius, makes this home. What I believe would be growth would be to turn our industry-minded businesses more green and environmentally safe for future generations. As technology changes so rapidly, we have to concentrate on how to manage in this world without consuming our natural resources to a point of degradation and depletion. Water is our life and we must take every opportunity to protect, preserve and sustain our natural water sources. Managing our water resources could be critical to the region in the future. The Great Lakes are a gift we need to be conscious of protecting and preserving. Our biggest growth opportunity is the welcoming nature of entrepreneurship, especially for younger people, women and persons of color. As the communities that make up the Fox Cities become increasingly younger and browner, there is great need for networking opportunities to branch out, especially given the fewer roadblocks that exist here compared to many larger metropolitan areas. It seems that residents are more open to seeing success exist regardless of race, color, creed, ability, orientation or affiliation. In the first few years of living in this region, I did not know what to think as the Fox Cities area is the polar opposite of my life in New York City. In NYC, most opportunities are a short train ride away, yet some things, such as the arts, sports, fine dining and housing were great, yet financially out of reach to many residents. I enjoy the environmental infrastructure and cleanliness of our roads, highways and byways. I greatly appreciate the accessibility and affordability the Fox Cities have to offer. I am absolutely inspired by the intelligent, good-hearted people we have living here. The sense that we are all in this together has provided a supportive environment to help new ideas both big and small come to fruition in our community. We need to be open to new ideas, new possibilities and an efficient process supportive of economic development in order to stay progressive in the Fox Cities. The Fox Cities has so many redevelopment opportunities ripe with potential, but these opportunities fall short when we don’t create a good support system to progress development in a timely manner. As a community, we need to stay ahead by not waiting for opportunities to fall in our laps and instead create those opportunities by having a clear vision of what we are looking to attract. Don’t be afraid to think big, but know that perseverance is what will make those ideas a reality. The most exciting recent development at U.S. Venture is our decision to build our new headquarters in downtown Appleton. It will give us the opportunity to integrate ourselves deeper into the nonprofit community, support downtown businesses, and has real potential to spur more incremental developments for the city. We need to create a collective vision of what we want our community to become – one that includes input from our diverse population base – and then provide policy and process to ensure we can achieve this vision. I’m always amazed by the generosity and compassion in this community. People in the Fox Cities possess a wonderful willingness to help others and support good causes. These strong core values have made the Fox Valley a great place for my wife and me to raise our five children. I’m proud that I have been able to tell the stories of so many players that have made their way through the Fox Cities for the last 19 seasons. Some of those players have gone on to play in the Major Leagues. Some of those players have never played again after they were done in Wisconsin. I was born in Wisconsin and have lived in this state for my entire life. Wisconsin sports fans are so passionate about all of their teams. I grew up in the culture of supporting our teams and have been able to channel that passion into my broadcasts. My advice is love what you do, keep learning, keep evolving. The biggest growth opportunity for our community is diversity, race relations and understanding and support for other marginalized groups. We tend to think of Appleton as progressive and “One Great Place,” but it’s important to understand that many folks of color or other marginalized individuals don’t necessarily feel comfortable here doing the many things that others may take for granted like attending Octoberfest or simply walking down College Ave. We have a wonderful community of people who, for the most part I feel, really care about one another and continue to want better for all of us and hold us as a community to a higher standard to better our city and area. It’s these individuals who push, who fight, who resist, that we are inspired by and keep us pushing for more, so that we can continue to make Appleton and the surrounding areas truly “One Great Place” and inclusive for all folks. I try to live my life without regrets. In business, almost everyone will experience success and failure and will have taken risks to accomplish their goals. All of the ups and downs is what gives you the grit you need to be strong in business. I believe that when you are successful in business you have an opportunity and privilege to contribute to the greater good and I see this in our community from large and small businesses, leaders, volunteers and nonprofits. I’m proud of our community leadership and their vision for the future. Our area continues to improve every day from better roads, more direct flights with an expanding airport, and more commercial and residential construction in every direction, however, I believe downtown Appleton has great potential for growth and more opportunity to live a downtown lifestyle. The community effort to restore and operate the Fox River lock system has been one of the major historic accomplishments of the last 30 years. The locks were faced with closure in 1985, but thanks to a group of concerned citizens, we raised the money to restore and open the locks. The 10-year project was done for $14.5 million with private, state and federal dollars invested in restoring the only hand-operated lock system in the nation. Responsible development of the riverfront is the biggest untapped economic and recreational opportunity. An independent economic impact statement indicated that the lock system could generate as much as $290 million in total economic output over a 10 year period and generate as many as 6,300 additional jobs. 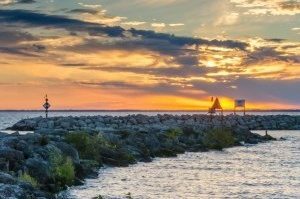 We’ve already seen success with RiverHeath, Voyager Park in De Pere and the downtown Menasha Marina – imagine if developments like this happened up and down the Fox. I am moved every day by how civically-oriented people are in the Fox Cities. We care deeply about this place and trying to make it better. This care for community makes it so much easier to lead Lawrence. On any issue that faces the university, I know I can count on many other colleagues who have the same passion and interest for progress. We are very excited about efforts to deepen the education we offer. New colleagues have joined us to teach neuroscience, elementary education, development economics, data science and opera studies, among other disciplines. Talent is the critical constraint on our [community’s] growth. We need to find ways to attract and retain more talent, especially those who are early in career. This demographic of employees wants more vibrant downtowns and more social options. Taking advantage of our location through additional trails along the river and out in nature would also make our community more attractive. President & CEO, Miron Construction Co., Inc. The Fox Cities has granted [Miron] the opportunity to construct numerous facilities that have helped shape the landscape of our region. Our company was founded a century ago on North Story Street in Appleton, during the days when we could count the number of employees on two hands and annual revenue was a fraction of what it is today. The Fox Cities has been experiencing a simultaneous explosion of community engagement, entrepreneurial activity and resulting economic growth, which of course not only impacts our business, but richly enhances the lives of those of us who are lucky enough to live, work and play here. As long as our communities can continue to cultivate a culture that is family-oriented and forward-thinking, we’re all poised for long-term success. My advice is never forget where you came from; there isn’t a job too small for Miron, as those small jobs gave us our start and ultimately got us where we are today. For me, personally, my career comes down to the sustainability of the business and the impact we have on others. With that being said, I’m proud of two different things. First, when our company hit our first $1 million year, I felt the proudest of our company’s sustainability and credibility. It felt like we had finally “made it” beyond just a good idea of mine. Second, earning the 2018 “Young Professional of the Year” recognition meant a ton to me. It reassured me that beyond business, our company is making a mark on the community around us. Never lose sight of solving problems and doing right by people who help you solve these problems. It doesn’t matter if you are helping a non-profit or building a business. The success and growth of either of them rely on solving problems in a sustainable way. We don’t have extended family in Northeast Wisconsin, but I remember quickly feeling at home here. When we first moved to the area, I remember seeing many neighbors and friends in the backyards of our neighborhood. There were no fences and our neighbors were so welcoming. They quickly became family. After living in various parts of the United States, Northeast Wisconsin is home. We have amazing people, rich traditions, strong universities and colleges and booming industry. One of the biggest issues facing many companies and organizations in Northeast Wisconsin is access to labor. As a result, we need to keep training and educating young people about the many great opportunities right here within Northeast Wisconsin from manufacturing to marketing to engineering. Additionally, we have a huge opportunity to continue to market the Northeast Wisconsin region. There are many groups like New North that are doing great work around attracting new talented people to the area. When I moved to the area, I was amazed by not only the incredible variety of cultural events, but also by the amount of community support and engagement. Individuals, families and companies are all so invested in our groups and happy to show up at events and share in the celebration of the arts. That is rare and something to be cherished. Right now Fox Valley Symphony Orchestra is in the middle of our search for a new conductor. This person will lead our group and be a part of our community for years, and that spirit and level of engagement is very important for us when making our selection. We are delighted when we bring in our candidates and get to show off our friends and colleagues in the arts network here. Without exception, they have each mentioned they want to work with us because they love what they see happening in the Fox Cities and how the region is so innovative. Executive Director, Appleton Downtown Inc.
We have the bones to become the Nashville or Austin of the Midwest. As efforts like Mile of Music and the Refuge continue to add opportunities for emerging artists to write, compose, record, create and perform their art form we will continue to attract visitors, and ultimately a new talent pool looking to live in a community that embraces an authentic urban experience – urban amenities in place you can still call a neighborhood. Urban living is a huge growth area for Downtown Appleton. People want to live in a walkable and thriving neighborhood and we have that to offer. What’s coming next is the inventory. We need market rate apartments downtown. When the community survey during the update to the Downtown plan indicated more than 50 percent of the 1,000-plus respondents wanted to live in or near downtown, we knew the environment was right for new residential development. We are gearing up to relocate the ADI office to the corner of the Red Lion Paper Valley Hotel and have plans to create a downtown visitor center. VP of Business Development, Pfefferle Companies, Inc.
As the region’s leader in commercial real estate solutions, [Pfefferle Companies is] exploring the current inventory of vacant space in the Fox Cities (particularly industrial/warehouse) and trying to find creative ways to increase the availability of product. The hope is to have more suitable real estate options for local or outside companies looking to invest and grow in the area. We are in discussions with some of the region’s largest employers regarding employer-led housing needs and options. Good-paying jobs and a healthy economy support our local businesses, schools, non-profits, as well the overall quality of life. Because a large percentage of jobs in the Fox Cities are created by existing employers, it is very important that local companies of all sizes and industries have access to the resources that they need to continue to grow and hire. I was thrilled to move back to the Fox Cities this summer after being gone for nearly 10 years. I was asked to return to Kimberly-Clark to lead our North American business. Our teams are orchestrating a transformation of the North American business to get it back on a path of sustainable growth. Ensuring K-C is growing and investing is a critical part of our role as a key employer in the Fox Cities. As one of the largest employers in the area, we are a part of its fabric, both economically and philanthropically. After my short few months back in the area, I have been reminded of what a special place the Fox Valley really is. By getting involved in the needs of the community and following a passion of your choice, you will be able to see the instant impact. The Fox Cities have allowed me to pursue not only my dreams of creating art, but also my dream about how the arts could interact differently with community itself. I’ve dreamed of an area in the world where the arts were there to heal and support as much as entertain and distract. This community has shared not only their joy in celebration of things like Mile of Music, but also the responsibility of our burdens we collectively share. 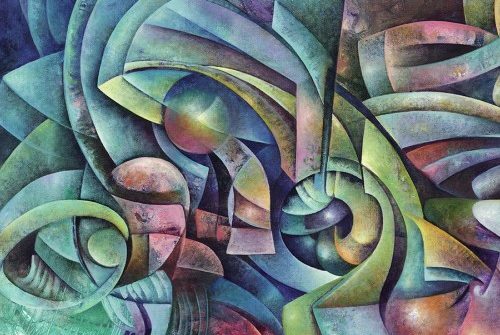 I’ve spent many years pushing the idea that art hasn’t been with us since the dawn of civilization because it’s simply fun – the arts hold us together and heal us. This community has allowed us to explore that concept more than any other we’ve worked alongside. Our Fox Cities will grow at the rate to which our dreamers are supported. Our future relies on dreams that will at first seem impossible. The Fox Cities really are a special place. We have local leadership that is open to innovation and new ideas, and serve as mentors and role models for others. I certainly have benefited from many women in the community being willing to meet with me and encourage me during my career. I believe if we want to maintain our great quality of life and grow our economy we need to address the lack of affordable housing and lack of affordable childcare. There are more factors to a thriving community than a growing economy or the number of jobs. Working families are still experiencing homelessness because there isn’t enough housing that is affordable to lower-income workers. Women are being kept out of the workforce because childcare is too expensive or generally not available after 6 p.m. Often these issues are not the result of individual failing, but a community landscape that we can all work to improve. The Fox Cities is such a special place with amazing people who care and embody the definition of community. This makes for lasting change here in the Fox Cities and our team is proud they are making a difference. There are truly so many people in this community who care. These positive role models add so much to helping lift one up, hold you up or catch you when you stumble. In the U.S. today there is so much division, but here in the Fox Cities, if you look for it, you can truly find so much support and strength. Together, our Bergstrom Automotive teammates have really invested their time and efforts in making a difference. This past year we had record efforts and dollars contributed while reaching historical milestones for the local United Way, Make-A-Wish, Boys’ and Girls’ Clubs, The Fox Cities Performing Arts Center and Cancer Research to name some examples. We are fortunate to be part of such a special community. This community has a history of inspiring people, stories and events. One of my favorites came from my work with Feeding America Eastern Wisconsin. We were setting up a mobile food pantry on a very cold February day. The wind was brutal, and I stood outside handing out numbers to the guests so they could go inside a warm building and have a cup of hot chocolate. A woman came to where I was standing and took a number. Instead of walking away, she took off her well-worn coat and handed it to me, telling me I needed it more than she did. Then she walked inside to wait for her number to be called. As I slipped on her coat over my own to fight the Wisconsin cold, I began to cry at the beauty and irony of the moment. I was there to help her – a woman in need. Instead, she gave me the little she had in order to bring comfort to me. This is what our community is about. Leading one of the top performing community foundations in the country has been a tremendous honor and source of pride. I am most proud of the growth of philanthropy in this region and the healthy spirit of generosity fostered in the Community Foundation to sustain and improve our region’s quality of life. That thriving generosity is the best reflection of the way people feel about living, raising their families and building their businesses in the Fox Cities. Our donors contributed a record $132 million to charitable funds within the Community Foundation this year, asking us to be their partner in giving to fulfill their individual aspirations to make this region’s quality of life better. I believe that we live in the most generous region in the state, where people get involved and give their time and finances to benefit others. Over the past 20 years, I have served as a long-time employee of CenturyTel and ALLTEL which helped bring me to the Fox Cities. In 2007, I created my own start-up business in Little Chute. Most recently, I represented AIA Corporation in Neenah. Having worked with so many of the businesses in this area, either directly or as a supporting business partner, you can imagine my excitement about a strong role working directly with the Fox Cities Chamber and making a positive impact in this business community. This region has had tremendous impact on my life and career. When seeking opportunities throughout the country, I chose the Fox Cities because of the quality of life and abundance of diverse opportunities. This region is a large community with a small town feel, the type of place I want to raise my family to ensure safety for my children. I have lived my entire life in the Fox Cities and, over the years, have come to appreciate this place I call home even more. It’s not only the “where,” but most certainly with whom – my family, my friends, my colleagues, my tribe. It’s a place where I’ve experienced my most beautiful moments as well as my ugliest. But as Dorothy said, “There’s no place like home!” I feel very blessed to have grown my career here in the Fox Cities with the opportunity to join a “start up” in 1976 as a teller, and be able to grow along with the credit union and eventually become the CEO of what is now a $3 billion financial cooperative. Here, through community involvement, I’ve been able to work with and learn from some of the most successful business leaders in the country (Kimberly-Clark, Oshkosh Corp, Bergstrom, Gulfstream, Thrivent,etc.) and count them as friends. Not sure that could happen anywhere else.